Want to see what the three player co-op Trine 2 looks like in 3D but don't have the game or 3D hardware required to do so? NVidia has you covered with an entire gallery of 3D shots of the game viewable with simple Red/Blue glasses amongst other methods. If you've played Trine or the Trine 2 beta you know the game is ripe for 3D support, with a rich multi-layered world that is full of colors it simply comes to life in 3D. NVidia has a full article on all the graphical options available in Trine 2 and how you can tweak the best performance from the game. There's a great table describing each graphical option in detail in relation to the game. Specular Texture Mipmap Quality Reduction: Reduces the quality of shiny, specular textures by reducing the quality of the associated mipmap, defined as a "pre-calculated, optimized collection of images that accompany a main texture, intended to increase rendering speed and reduce aliasing artifacts." Normal Texture Mipmap Quality Reduction: As above for standard, plain Jane textures. Color Texture Mipmap Quality Reduction: As above for coloured textures. Rendering Resolution Reduction: Originally created for adaptive resolution switching on the consoles, the PC version of this setting permanently reduces the rendering resolution of the scene to a lower value, trading detail for performance (the opposite of SSAA, essentially). Possible settings are 0 (Disabled), 1 (Enabled 1x), 2 (Enabled 2x), and 3 (Enabled 3x), a value that can only be set manually via the options.txt configuration file. Half Resolution Textures: Halves the resolution of all textures to improve performance and reduce VRAM usage. 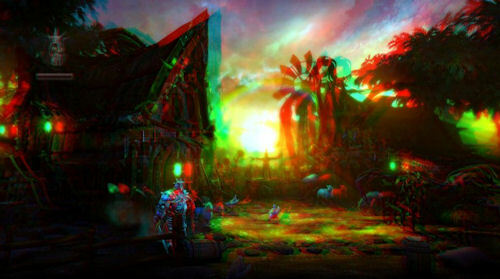 Distortion Effects: Renders heat haze and other such effects in-game. Flora Sway: Directs the on-screen flora to sway in the wind. Shader Quality: Determines the quality of the game’s graphics shaders, influencing overall scene quality, lighting quality, reflection quality and other effects. Anisotropic Filtering: Higher values increase the sharpness of textures (a detailed explanation can be found here).